Memorial Day 2016 – Monterey County Pops! 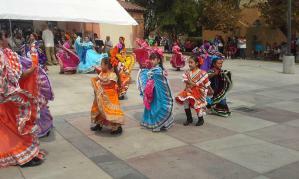 Monterey County Pops! will present a free Memorial Day concert titled “To Remember and Honor” on Monday, May 30, 2016 at 2:00 p.m. on the Monterey City Hall Great Lawn. The 40-member fully professional ensemble conducted by Pops! Music Director, Dr. Carl Christensen, will present a program of pops, patriotic, and Americana favorites. 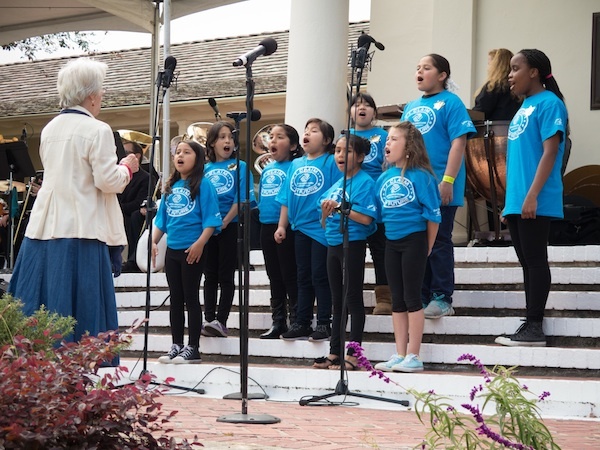 Featured soloists included Blue Grass fiddler, Laura Burian, youth vocalist, Mia Pak, and the Monterey County Pops!/Community Partnership for Youth Chorus conducted by MaryClare Martin. The concert is dedicated to the memory of Nancy Fowler, music educator and Pops! flutist, who was killed in a tragic auto accident in 2015. Musical highlights will include selections from “The Music Man”, The Blue and the Gray Suite of traditional melodies from the Civil War era, Americans We March by Henry Fillmore, the Colonel Bogey March, and the Armed Forces Salute. 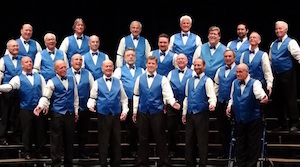 The Cypressaires Barbershop Chorus will entertain at 1:00 p.m.
Ms. Pak will sing God Bless America as well as two selections by George Gershwin: Strike Up the Band and Embraceable You. Mia Pak is a 17 year old high school junior who has been performing locally at Pacific Repertory Theater since she was nine years old. She appeared recently in “Heathers, the Musical” and as Mulan in “Mulan” at Pac Rep. Earlier this year she was a Silver Medalist at the National Young Arts Competition in Miami. She studies with Metropolitan Opera Mezzo Soprano and Carmel resident, Susanne Mentzer. 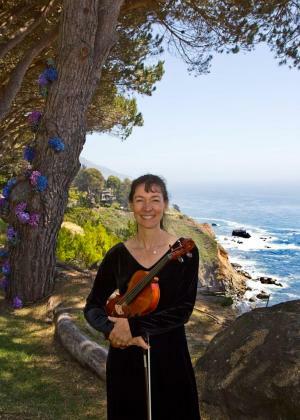 Blue Grass fiddler, Laura Burian, will perform a medley of three fiddle tunes: Devil’s Dream, Mason’s Apron, and Ragtime Annie, as well as the popular Ashokan Farewell from Ken Burns’ Civil War series. 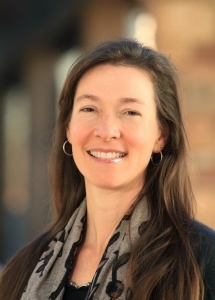 Laura is a long-time member of the popular local band, Heartstrings, and is a professor at the Middlebury Institute of International Studies at Monterey where she teaches simultaneous and consecutive interpretation of Chinese and English. The Youth Chorus will perform three selections including their theme song, “Music All Over Me”, accompanied by the Pops! orchestra playing special arrangements written by Dr. Christensen especially for this concert. 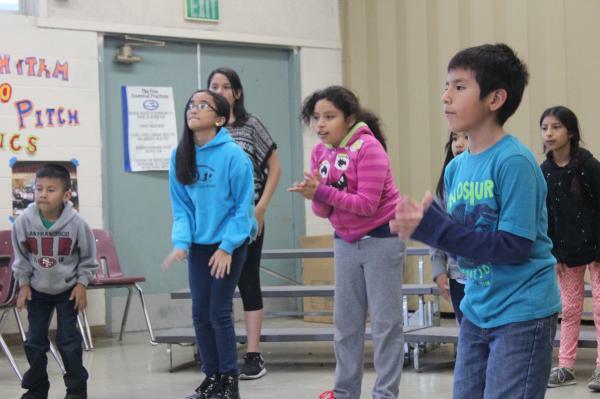 The Chorus consists of young people participating in programs of “Community Partnership for Youth” and is co-sponsored by CPY and the Monterey County Pops! They have been rehearsing for the last two months with their conductor, MaryClare Martin. The program will conclude with the playing of The Navy Hymn, Taps, and Sousa’s Stars and Stripes Forever March.